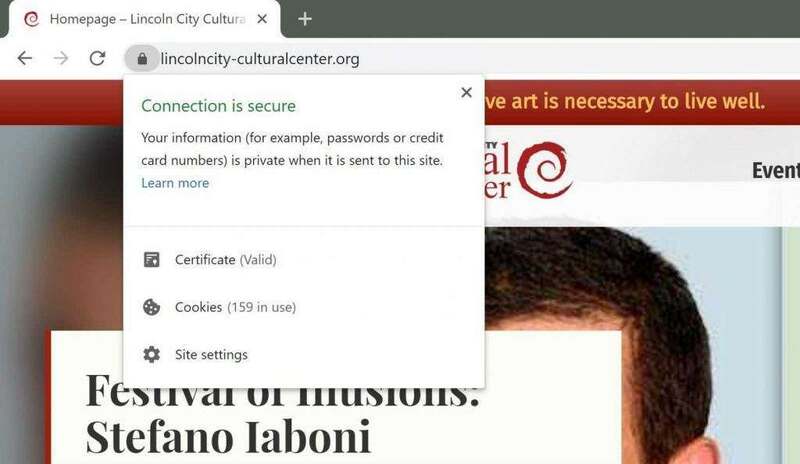 Recently, we received some reports that people trying to access the Lincoln City Cultural Center website would see a security warning stating: “Your connection is not private.” While the issue should be resolved, we wanted to tell you what happened and assure you we were not hacked. You’ve probably noticed the little padlock in the top-left of your browser window (such as Chrome, Safari, Firefox, etc), or the words “SECURE” being flashed as you load the site. This is a fast, secure, and painless way of assuring that you are sending your information over the internet securely. That’s what happened here. The item, an SSL certificate, controls this and is automatically renewed yearly. Somehow, the primary domain listed on our SSL Certificates was incorrectly assigned to another domain we own. Your browser now thought the source (our website) wasn’t trusted. Unfortunately, the issue was not consistent. Some people (including our webmaster and tech support team) were not seeing any errors! But it is fixed! A few people were concerned that our website may have been hacked. This is a valid concern and we take security very seriously. Our website is protected by a robust firewall that monitors for any suspicious activity and blocks access before a breach can occur. Currently, there is no evidence of hacking or other nefarious activity. While there is no foolproof method of preventing hackers who are determined enough, rest assured that we are doing everything we can to keep your information safe. 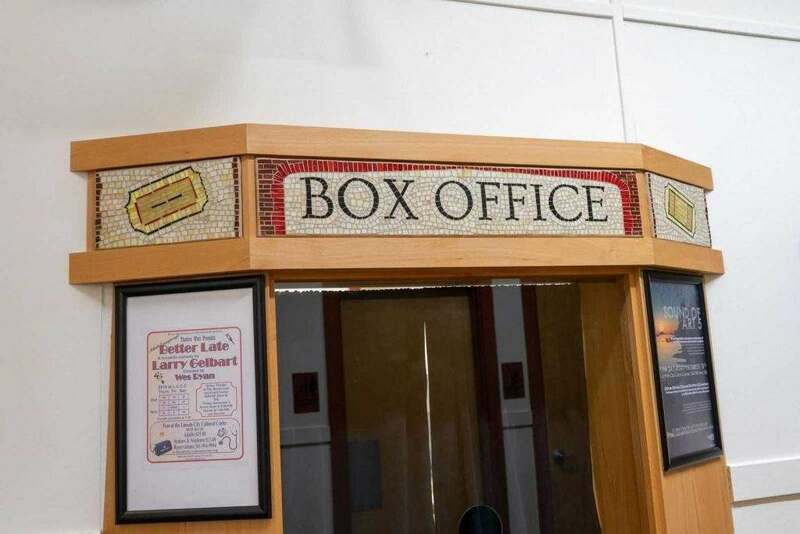 We appreciate your trust in the Lincoln City Cultural Center and will do everything we can to keep your information safe from hackers. Art and culture enhances every part of our lives. They bring us joy, and help us to make sense of our own experiences and to empathize with others. And frankly, it’s often just plain fun. A family creates art as part of an audience participation activity during the Sound of Nature, Sound of Art performance. Why should you turn off the TV for once and get out there to take in some culture? The benefits are not as tangible as, say, how exercising will help you drop 10 pounds, but the rewards are undeniable. Art and culture also benefit us economically, socially, and educationally – from the future prospects of our children, to the vibrancy of our cities, to the contribution made to economic growth. Here are a few ways that art and culture positively impacts you, your family, and your community. By participating in culture and being exposed to different forms of art, you broaden the ways in which you can express yourself. It frees and opens up your way of thinking so even if you’re not actively creating art, your ability to convey information and communicate with others is enriched. Regardless of your income level or education, taking in the arts is linked to being more satisfied with your life, says a study published last year in the Journal of Epidemiology and Community Health. However, the study revealed differences when it came to men and women. Men experience greater boosts in mood and health when partaking in culture passively, for example going to a museum or a concert. Women, on the other hand, experienced a rise in mood when participating in culture in a more active way (by creating art or playing a musical instrument). Exposure to the arts produces well-rounded adults, who contribute as empathetic citizens and creative workers. For seniors and retirees, there is a heap evidence of the positive impact that the arts can have on the physical, mental and social wellbeing of older people.